The Kirk Douglas Award for Excellence in Film is SBIFF’s annual black tie fundraiser with all proceeds going to SBIFF’s Educational Programs. The event includes a cocktail reception during the red carpet arrivals followed by a dinner and tribute to the honoree. The tribute includes clip packages of the honorees work presented by several celebrity guests and concluding the the presentation of the award to the honoree. Since 2006, the annual Kirk Douglas Award for Excellence in Film has been awarded to a lifelong contributor to cinema through their work in front of the camera, behind, or both. 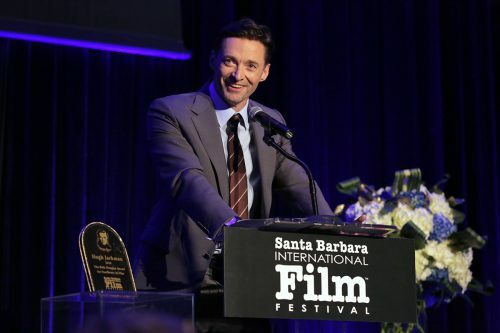 Past honorees include Hugh Jackman, Dame Judi Dench, Warren Beatty, Jane Fonda, Jessica Lange, Forest Whitaker, Robert DeNiro, Michael Douglas, Harrison Ford, Quentin Tarantino, Ed Harris, and John Travolta.